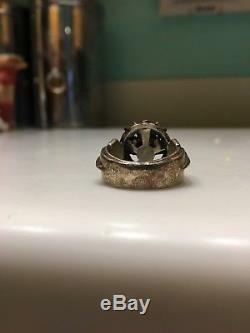 Custom-made solid Sterling Silver FFXV Ring of the Lucii - US size 7!!!! With free Neverending Story Auryn pendant! 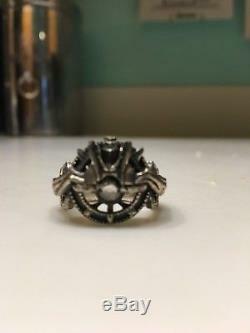 Since the official Square Enix ring is a size 9, I commissioned this beautiful ring in a size 7. Is a solid, stately, weighty statement piece, just as pretty as the official ring. 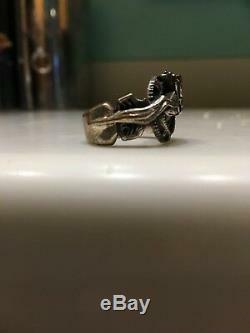 My boyfriend actually has the official ring, and this one has much more silver and is more solid. 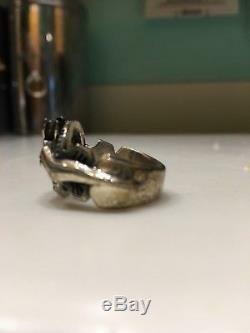 The ring is not painted black, instead, it is an unfinished sterling that tarnishes easily. I really like the aged natural tarnish look coupled with the crystal. It looks antique and mysterious, with a cloudy crystal that is easily replaceable by a jeweler if you'd prefer a different stone. Honestly, the only reason I'm listing it is because I lost a bunch of weight, and it doesn't fit anymore. 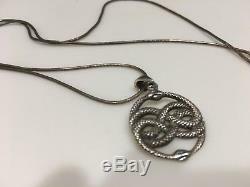 I;'m also throwing in a free sterling silver Auryn pendant (not including the chain in the photo). The item "Size 7 Custom-made Solid Sterling Silver FFXV Final Fantasy XV Ring of the Lucii" is in sale since Sunday, September 23, 2018. 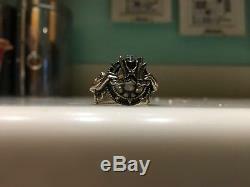 This item is in the category "Collectibles\Animation Art & Characters\Japanese, Anime\Final Fantasy\Jewelry, Watches". 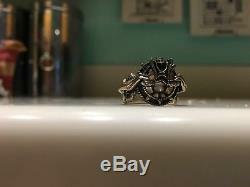 The seller is "rutabega99" and is located in Charleston, South Carolina. This item can be shipped to United States.